When I buy the Print Trial, is the Digital Edition included in my purchase? No. The Print Trial is a separate purchase, but if you’d like to buy the Digital Edition, click here. I am already a Digital Edition subscriber. Will you automatically send me the Print Trial? No. The Print Trial is a separate purchase from the Digital Edition. If you’d like to buy the Print Trial, click here. Do you offer a discount on the Print Trial for current Digital Subscribers? How can I become a Digital Edition subscriber? If you’d like to buy the Digital Edition, click here. I like the videos and links in the Digital Edition - will I be able to access these in the Print Edition? While we can create links that click right to a webpage or videos that play directly inside of the Digital Edition, that is not possible in the Print Edition. We do note when videos are available to accompany articles, and you can find them on our YouTube Channel in the specific issue’s playlist. For links, we will include the URL in the article text of the Print Edition when appropriate, which you can then visit at your leisure using your favorite internet browser. Is the content in the Print Edition and the Digital Edition the same? For the most part, yes. We will endeavour to include as much of the Digital Edition content in the Print Edition as possible, but due to space limitations, image quality restrictions, and time-sensitive material we are unable to print 100% of the content from the Digital Edition. The Digital Edition will also include videos, links, and other content not possible to include in print, and the layout will be adjusted accordingly so the page count between the two editions will differ. Why are you only doing 3 issues? The 3-issue Print Trial is an opportunity for us to gauge the interest of our audience in order to determine if there is enough demand for a Print Edition subscription to start in 2019. It also gives us the opportunity to test out production, printing, and shipping processes and eliminate any problems before we move to a full subscription model. Why are the Print Trial issues only every second month? Publishing a print magazine is very different than publishing a digital magazine and we need the extra time at this early stage to refine our production processes, solve any printing or distribution issues, and get reader feedback on what we include in each issue. This will help us deliver the best product possible. Can I buy just one issue of the Print Trial? No, the Print Trial issues are only be available as a 3-issue package. When will my issues of the Print Trial arrive? We will mail out each of the three issues on the August 1, October 1, and December 1, 2018. Depending on shipping times, you should receive your issue by mid-August, mid-October, and mid-December respectively. When can I buy a Print Edition subscription? We are hoping to release a Print Edition subscription in 2019, but it all depends on how much interest we have from readers during the Print Trial. If you’re interested in a Print Edition subscription, please support the Print Trial to help us assess the demand for WDW Magazine in print. Can I purchase a Print Trial as a gift for someone else? Yes! However, each Print Trial Transaction must be handled separately so if you are purchasing more than one Print Trial (for example: one for you, one for a friend) you will have to complete two separate transactions. Can I buy multiple copies of the Print Trial? Yes! However, each Print Trial Transaction must be handled separately so if you are purchasing more than one Print Trial package you will have to complete each purchase as a separate transaction, even if multiple purchases will be shipping to the same address. What payment options are offered for the Print Trial? Visa, MasterCard, American Express, Discover, JCB, Diners Club, and PayPal. Is the WDW Magazine Print Trial available internationally? The WDW Magazine Print Trial is only available within the US, to Canada, and to the UK. While US shipping is included in the $30 USD purchase price, shipping to Canada will cost an added $22 USD, and shipping to the Uk will cost an added $46 USD. What does your 100% money-back guarantee include? 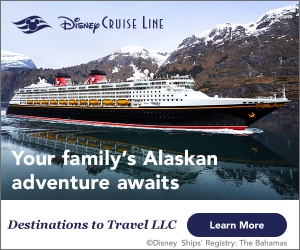 Our 100% Money-Back Guarantee includes 100% of the $30 product cost, as well as any added shipping cost for international purchasers. Once an order is complete, we cannot cancel it. However, we do offer a 100% Money Back Guarantee. 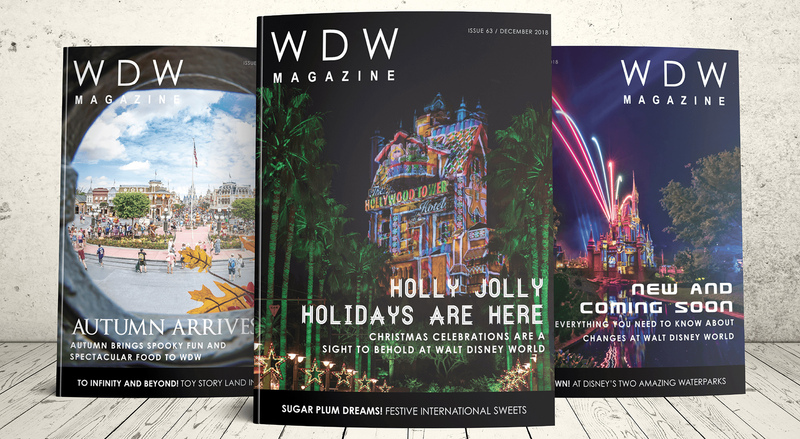 After you receive your August issue of WDW Magazine, you can send us an email at support@wdwmag.com by August 31, 2018 requesting a cancellation of your Print Trial. You will be able to keep the August issue, but we will not send you the October or December issues. You will be refunded the cost of your purchase and any additional international shipping costs. How will my purchase of the Print Trial appear on my bank statement? The WDW Magazine Print Trial will be listed as a payment to CTSA LLC. on your bank statement. I have a question not covered here, what do I do? Please send us an email with your question to support@wdwmag.com.